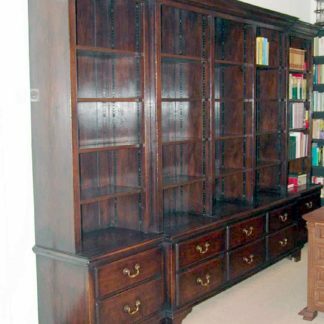 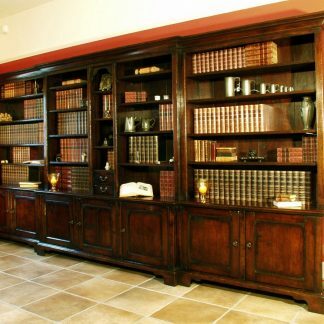 A stunning and very impressive library bookcase perfect for a living room, study or office. 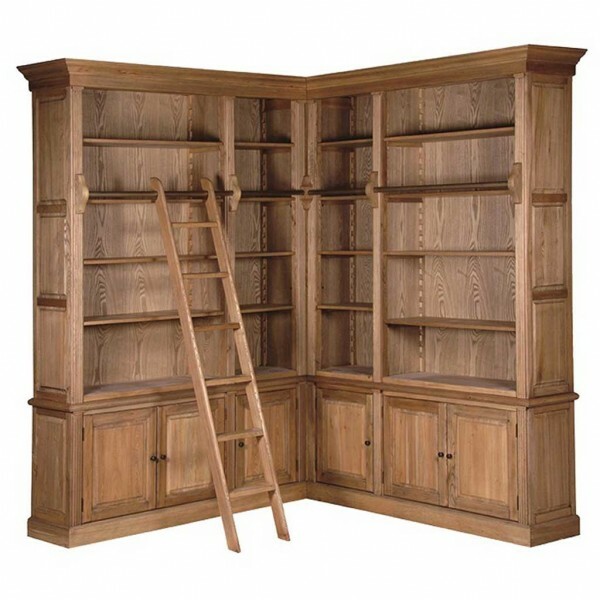 Beautifully constructed solid Oak corner bookcase featuring adjustable internal shelves, 6 base cupboards, rails to the top and a ladder for those hard to reach areas. 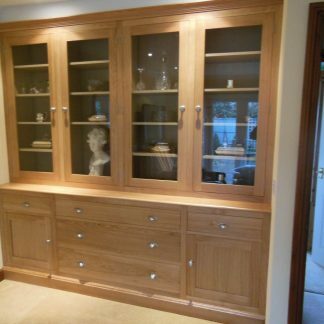 Finished in a superb antique style.